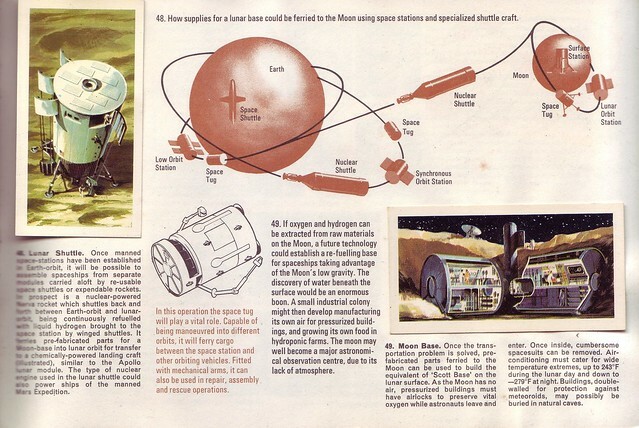 This was so very early on in the era of space exploration. Neil Armstrong had only walked on the moon two years before, and the space shuttle was still in the earliest stages of planning. The page below shows what was envisioned then. Notice that the booster for the orbiter shuttle was itself a piloted craft which, having launched the orbiter, would have flown home. 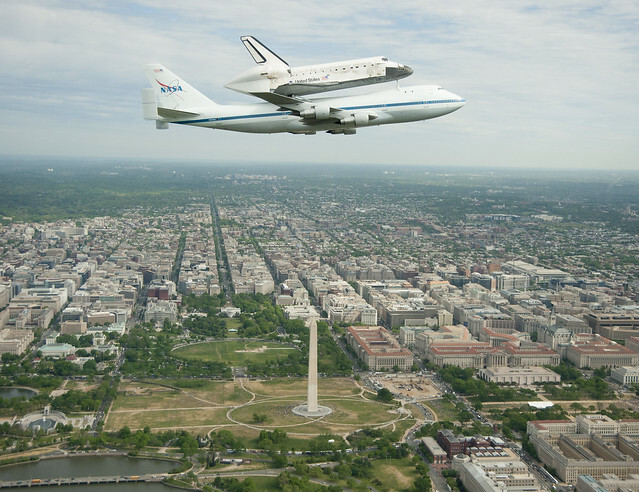 Very different to what finally flew, but somewhat reminiscent of the 747 that transported the retired shuttle recently, for example. But the pages that filled me with the most wonder were the confident predictions about moon bases and manned flights to Mars. Sadly, 40 years later, these scenarios remain as speculative as they were in 1971. 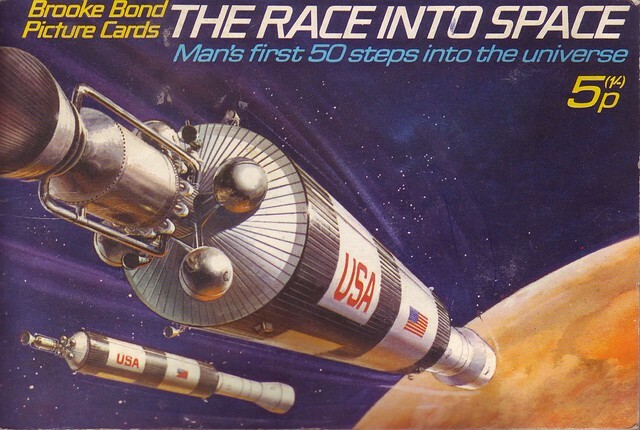 You can read more about the many different kinds of Brooke Bond picture cards here. 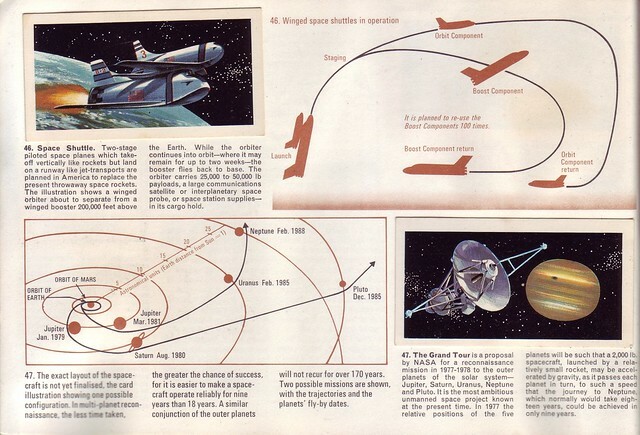 Below is a selection of pages from the Race into Space, and you can see more here, if you feel like a retro-rocket ride back to the dawn of human spaceflight.